In A Nutshell: Looking out for your pet can be a difficult component of planning a vacation when you’re using your credit card rewards. It’s not a good idea to board an animal for long stretches, and trips can be more enjoyable when you bring your furry companion along for the adventure. Even as traveling with your pet has become easier and safer, knowing the laws that govern each destination where you plan to stay with your pet is important. PetTravel.com is a comprehensive resource for expenses, vaccinations, carriers, hotel pet policies, and anything else you need to know before traveling with your pet. 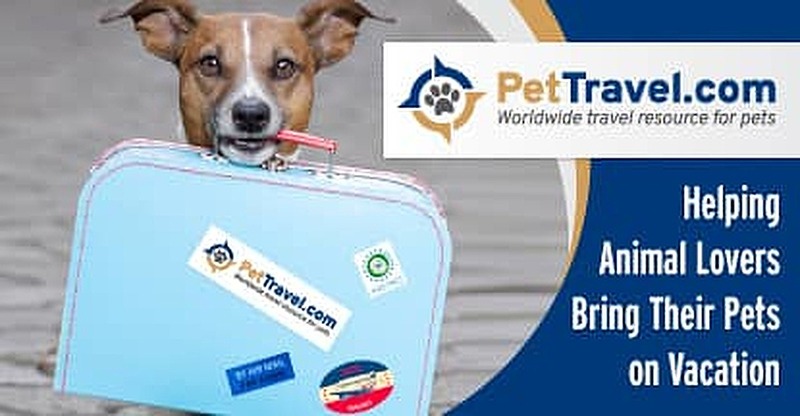 Whether you’re heading to Trinidad and Tobago or Timbuktu, check PetTravel.com well in advance to ensure your pet will be safe and comfortable. My cat Penelope is quite the seasoned traveler. She lived with me on a sailboat in the Caribbean for two years, and I loved having her to cuddle with at night and watching her roam the deck looking for birds. During our travels, I filled out the necessary paperwork to transport her to the Bahamas, and immigration agents in the Dominican Republic came aboard to inspect Penelope. But when it came time for me to leave the Caribbean and fly from St. Thomas to Florida, I was a little worried because Penelope had never flown before. I had to research the type of carrier and how much it would cost to have her in the cabin with me during the flight. I ended up carrying her in a mesh backpack that I wore on my chest. She was calm as we waited to board the airplane, and I ended up sitting next to a five-year-old boy who was very interested in Penelope during the flight. She did well — and the cost of her ticket was even covered by the travel rewards I’d earned through my credit card. I know how fun it is to travel with your furry companion, but navigating the rules and requirements in different countries can be tricky. People who travel with their pets have come to rely on PetTravel.com to guide them through any of the challenges they might face. PetTravel.com is a comprehensive resource for all animal-related travel questions, and its parent company, Pet Travel, Inc., has been around for more than three decades. Its mission is to help travelers keep their pets safe and comfortable throughout their journeys. The website also shares animal training tips, carrier recommendations, and much more for caring pet owners who like to travel the globe. That wisdom can avoid a major headache at the immigration counter. Traveling with pets started to gain popularity in the 1980s when airlines agreed to allow pets in the cabin under the seat. Today, many hotels — from budget to high-end — welcome animals accompanying baby boomers and millennials on vacation. Some hotels even provide beds for your pets, offer treats, and have concierge services that include dog walking. Of course, caring for your pets takes on new meaning when you start to travel internationally. Savvy travelers turn to PetTravel.com to ensure their animal is prepared for the trip with the necessary paperwork a store that provides all the necessary items for a safe and comfortable journey. For example, it is more difficult to travel with a pet to an island nation or state, like Australia, Japan, New Zealand, or Hawaii. Islands that are rabies-free want to keep it that way. How far in advance you need to start planning depends on the location, so head to PetTravel.com to check the laws in your destination. One of the most popular sections on PetTravel.com is Pet Passport, which provides detailed regulations for taking pets to more than 200 countries. Reading the information in Pet Passport will make your experience with immigration officers — who may speak a different language — easier in many cases. 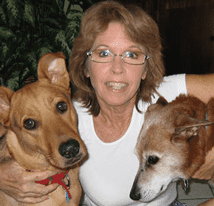 Susan H. Smith, President and CEO of Pet Travel, Inc. In some cases, PetTravel.com recommends hiring an agent to help you through the process. PetTravel.com connects travelers with pet-friendly hotels around the world and provides a complete list of airline policies. You can find the exact dimensions of the carrier that will fit underneath the seat on an airplane and even find a link to purchase the perfect one. The site offers plenty of tips for keeping your pet safe and calm when traveling in the cargo hold, and just about everything you need to get organized for your upcoming vacation. Even though I did my research and prepared all of the necessary paperwork for Penelope before my flight, I knew I couldn’t just stuff her in a carrier and expect the trip to go smoothly. Getting the animal familiar with the process is a crucial part of the travel preparation. Although my cat is usually a relaxed animal who has been socialized by staying with my friends and living on a sailboat, other animals may be more anxious. Susan said it could take up to three months to train an animal — and you’ll find plenty of great tips on PetTravel.com. Once you have all the paperwork in order and your pet is ready to fly, you’ll want to check that everything is ready to welcome you back when you return home. For Penelope, that meant a quiet couch and a nice nap after all the fun.